This entry was posted in Crout, Crout, Families and tagged 2nd Dragoon Guards, Family History, Genealogy, Harry Scarborough Crout, Henry Eden Crout by Catherine. Bookmark the permalink. I can feel your excitement Catherine, what wonderful wonderful news! I look forward to reading more. Thanks so much Jo for subscribing to my posts and for your pleasure in my almost out of control delight. Oh, the wonder of it all. So keen to share the info that’s flooding in but mindful of the need to get the approval of those providing it before putting it “on-line” and out there to share with the world. What great discoveries and they obviously mean so much to you. I look forward to finding o.ut more. Ohhh, sure does Susan!!! 🙂 I know that the “Ancestry” website is often looked down on and agree that one needs to be very careful when dealing with any of these commercial genealogical sites but it was only when my daughter decided to “dabble” and phoned me late one night, a couple of years ago, saying… “Mum, mum… did you know that Grandad had a sister?? ?” that I even realised the Internet resources that now available and then went on the hunt. Colour me HAPPY 😀 Thanks for caring Susan. Woohoo party time! How amazing to make those connections with family so far away. Isn’t the internet a wonderful thing?! So looking forward to hearing further outcomes, seeing the photo and learning which clarinet player he was. Pauleen, I am totally in LUV with the Internet 😀 … June said that’s it’s really hard to tell which of them is our shared Grandad given the straps under their chins which distort their faces… but her best guess is the third row up and third gentleman in from the right. Now that she’s sent a photo of him, aged about 35, I reckon the second fellow in, from the right, is more likely to be “our man” whom she says was proficient in all woodwind instruments… especially the “bassoon” etc etc. 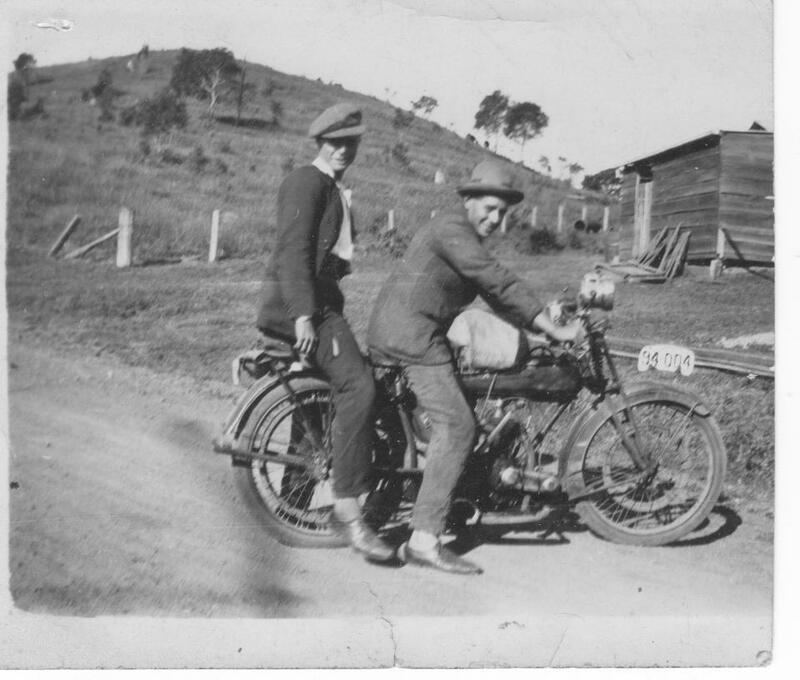 How lucky am I to now be in contact with a cousin whom, as a child, shared a home with our Grandad, describes herself as “the repository” of all the family documents/ stories and is willing to share. Absolutely correct Pauleen 🙂 … June and I are SO delighted to share the family stories/ photographs and documented evidence. Am so frustrated that my attention has been diverted temporarily because of pressing “day to day” matters. Thankfully June understands, has not broken off contact, and continues to send photos etc. Thanks so much for your continuing support, and encouragement, Pauleen. I had tears in my eyes finding your post and so thrilled for you. My quest is to find a photo of William Josiah James born in Dover Kent in 1878. He attested to the 2nd dragoon guards at age 14 and married a Yorshire lass in 1901. 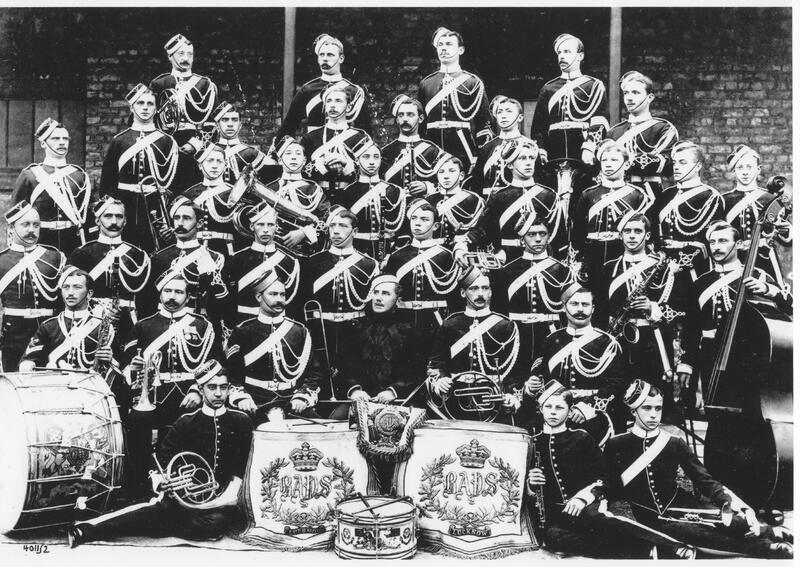 So your post about Fulford in Yorks, And the photo of the bandsman made my heart leap with possibilities of finding a photo. He was a trumpeter and in 1899 he would be age 21yrs so I’m hoping someone in the family screams out and says that’s him! I wonder if our relatives served together. Mine also went to SA and was severely wounded in the battle of Lewkoop on 1 April 1902 and is mentioned in colonel Dewars diary of that day. The dragoons took at battering there. Anyway, wanted to wish you will and thank you for your most enjoyable post. I am Catherine’s daughter, Kirrily. Mum passed away last month and so now I am the administrator of her blog. Thanks for your post, best wishes on you search. I wonder too if our relatives served together….